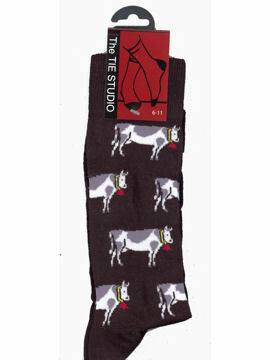 A real winner, this pair of socks is with Fresian Cows. Available in a tie design as well ! !